Experience designer Julia Khusainova shares exclusive insights into designing products with a focus on UX. 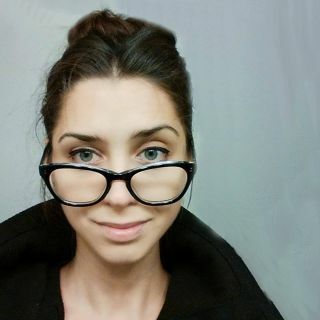 Julia Khusainova currently works as an experience designer at Airbnb, previously led design for a new product line at Shyp, worked on growth at Twitter and established design at various early stage startups. Next week she will give her first conference talk at Generate London, in which she will walk through her process for developing new products from ideation, testing and validation, development, to release and beyond — achieving business goals without compromising the user experience. We caught up with her to find out more about what product design and software engineering have in common, how she approaches design systems, how to create a compelling onboarding experience and more. You’re originally from Russia. How did you end up in San Francisco? Julia Khusainova: I've always had a passion for traveling and it was only a matter of time until I decided to leave the familiar life behind and move to a new country. I ran a design consultancy in Russia and one of my clients turned out to be a start-up in San Francisco who was looking to bring a designer on board. They wanted me to join as their lead designer. So I did. How did you make the jump from software engineering to product design? JK: In my mind, both disciplines are very similar, just tackling the user problems from different angles — what should the product be and look like vs how to build it. We even draw the same diagrams! It’s always amazing to see that as soon as design and engineering are aligned on the goal, they start singing the same song. I just wanted to try the other side of this process — the “pre-building” phase where I would be defining the user experience. I still write code for fun. The product goes smoother if everyone is aligned on the goals and the outcomes at the beginning of the project. I assume you work with lots of engineers, project managers, user researchers and others. How does the collaboration usually work? JK: I do indeed! The teams are often fairly large and there’s a lot of cross-collaboration happening. I always put my foot forward to have the conversation with my engineering, product, content strategists, data scientists and research partners as early as possible. It makes the product go smoother if everyone is aligned on the goals and the outcomes at the beginning of the project. In-person communication with note taking is always best, but email works too. It’s a balance between sharing the information too early and not early enough. The proper documentation and knowledge sharing are also crucial. You were at quite a few startups before, including Shyp and Twitter. What do they all have in common when it comes to product design? JK: They all strive to deliver the best user experience. I learned a lot about working in a team setting, collaborating with engineering and product partners, as well as other designers, and prioritization and analysis of user behaviour. Also research. It’s hard to put numbers on what a good (or bad) experience is — but it’s eye opening to see how people react to your design, and it’s certainly a valuable lesson I learned while working with my research partners. How do you approach design systems to develop products faster and more consistently? JK: I start by thinking holistically about the product and defining design principles. What do I want the product to feel like when people use it? What’s the most important part to communicate? How will users be engaging with the product? Answering these questions at the beginning as well as bringing the engineering team on board with my decisions makes it a smoother journey when designing the actual experience. It’s also important to lay the foundation — like the typography and colour scheme — that are the atomic elements of most design systems. After that, when I have the base, I can create more complex elements like buttons and tables and define their behaviour along the way. What kind of prototypes do you create and how do you use them for user research? JK: I work in InVision, Framer, and Principle for fast interactive prototypes. I create a few versions depending on what I want to test (the messaging, the storytelling aspect of it, the layout, etc) and present it to the user. I iterate fast based on the feedback, so the next person gets a “better”, more refined version of it. I have experience using paper sketches and even creating an “ideal” product with the users — it’s a lot of fun to draw together! I work in InVision, Framer, and Principle for fast interactive prototypes. What’s the secret to a compelling user onboarding experience? JK: Being clear on the benefits of using the product you’re getting onboarded on, the features, and being concise. Nobody wants to scroll or click through 40 screens of how-tos when they just went through the pain of downloading the app or registering on the website. Cut the scope, leave the three most important features you want the user to know and introduce the rest later on in the user lifecycle. What is the biggest pain point in your work as a product designer and how do you overcome it? JK: I often think like an engineer. It makes it easier to negotiate my design decisions with myself because I anticipate certain questions to be asked by my engineers. So I’m trying to shut that part off until it’s time to have a conversation. What can people expect to take away from your talk at Generate London? JK: We’re going to be diving into the exciting and challenging world of startups, and what it means to be a designer at one. How to think through, design and build the product that is innovative, different from what was previously built but still preserves the brand authenticity that is important for the existing customers. How to think systematically and design for scalability. Generate London on 21/22 September features 15 other presentations covering web animations, UX strategy, prototyping, user research, accessibility, performance, responsive CSS components, and much more. There are still a few tickets left for the workshops on 20 September, too. Reserve your spot now!